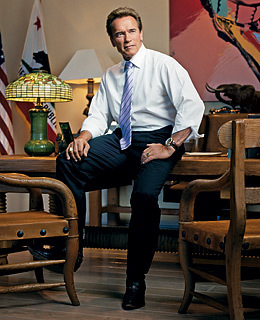 Governor Arnold Schwarzenegger was in Time’s 2007 listing of the 100 "Most Influential people in the World" because of his environmental credentials. This interested me because Swarzenegger has shown that one does not have to be left-leaning to be green. He held that good environmental policy is good economics. He’s right. 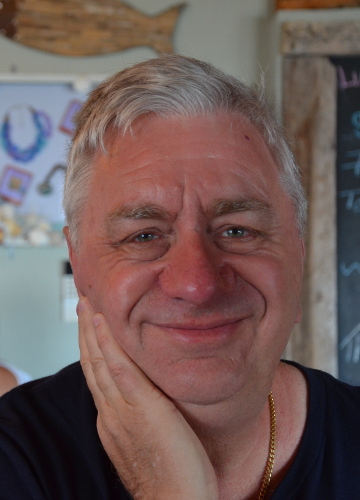 Conservative and progressives need not be in conflict in adopting green policies. Would that Australia’s conservative politicians could understand this. Governor Schwarzenegger and Steve Bracks, former Premier of the Australian state of Victoria established a collaborative agreement "to fight the effects of climate change by taking joint action to cap emissions, foster market competition for low carbon resources, coordinate carbon offsets, reduce greenhouse gases in the transportation sector, encourage the development of clean energy technology, develop clean building standards and help agricultural communities adapt to climate change." Governor Schwarzenegger was in the Australian news, following his decision to stop construction by BHP of a huge floating terminal 20 kilometres off the coast of Malibu to supply natural gas imported from Australia. Californian environmental groups, including the California Coastal Protection Network are applauding the decision. In an era when Republicans across the nation seem intent on tearing the "conserve" out of conservatism, California Governor Arnold Schwarzenegger, 59, is a national leader for his efforts to restore Teddy Roosevelt’s conservation tradition to the G.O.P. When he took office in 2003, Schwarzenegger announced a bold action plan for improving the state’s air, water, landscapes, energy supplies and climate. He created the 25 million-acre Sierra Nevada Conservancy to preserve California’s iconic mountain range; established thousands of acres of ocean parks; and put millions of dollars into habitat restoration, fisheries management and pollution reduction. He also adopted the most aggressive greenhouse-gas-reduction policies on earth, including ordering the state government to slash its energy use 20% and providing $3.2 billion to put solar roofs on homes and small businesses. By 2020 one-third of California’s electricity will come from renewable sources like wind, biomass and the sun. Schwarzenegger’s commitment to green growth often pits him against his own political party. He has fought off the Bush Administration’s efforts to weaken California’s global-warming initiatives and drill for oil along the coast and in the state’s national forests. A true fiscal conservative with a deep commitment to California’s future, the Governor regards environmental injury as deficit spending-loading the cost of this generation’s prosperity onto the backs of our children. Schwarzenegger believes that good economic policy, over the long term, is always the same as good environmental policy.